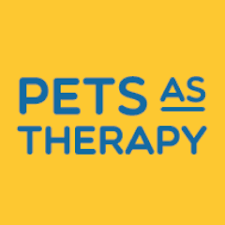 Pets As Therapy is our chosen Charity of the Year. We are raising money to help fund the important work that their volunteers and pets do to provide comfort, companionship and therapy to those in need. Pets As Therapy is a humanitarian charity with people at their heart. 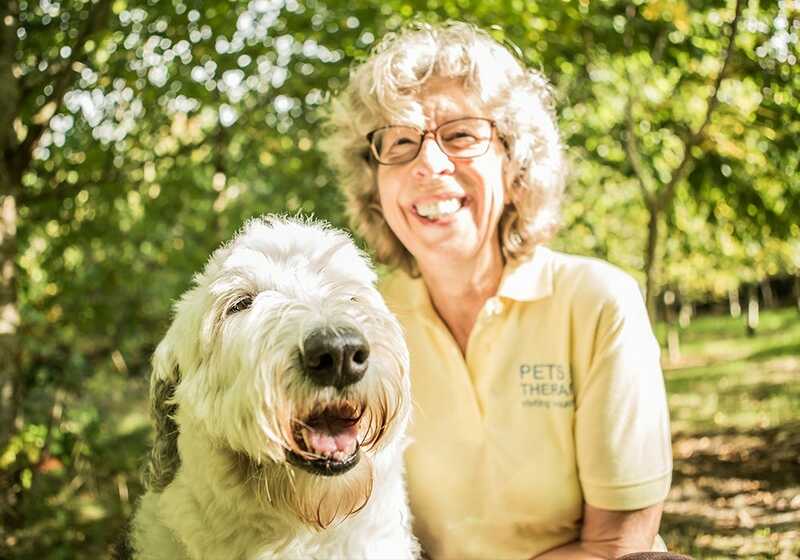 Since their founding in 1983, it has been at the forefront of community based Animal Assisted Therapy across the length and breadth of the UK. Today, Pets As Therapy is the largest organisation of its kind in Europe enhancing thousands of lives every single day. What they do is beautiful in its simplicity; their inspiring and dedicated volunteers share their time and their wonderful pets with people in need. Their volunteers, along with their temperament-assessed dogs and cats, make regular visits to nursing homes, hospitals, hospices and day care centres. The volunteers spend time with the patients, residents or visitors, allowing them to stroke the PAT pets and enjoy some companionship. For pet lovers who no longer live in their own home, or elderly people who attend day care centres but can no longer own a pet, interacting with a PAT pet can bring great comfort and joy. The very special brand of care, companionship and therapy that Pets As Therapy provides is being increasingly recognised by the medical profession. Volunteers are being asked to assist with stroke rehabilitation work and help people with phobias or mental health issues. Many schools are also now inviting Pets As Therapy dogs to spend time in the classroom and help children with reading difficulties. 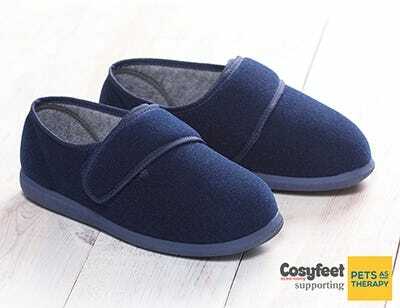 Cosyfeet wants to help Pets As Therapy continue their vital work. That's why we will be donating 25p for every pair of our bestselling Holly or Richie slippers you buy this year. In previous years we have helped RVS, PDSA, Canine Partners, WRVS, BIBIC and Diabetes UK.